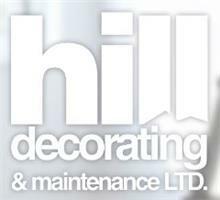 Hill Decorating - Painter/Decorator based in Sholing, Hampshire. As a sole trader with over 35 years’ experience in the painting and decorating industry I am happy to offer you the services of Hill Decorating & Maintenance which has been established since 2001. I am primarily a domestic decorator who can skilfully carry out any internal or external decorating that you wish to have completed. I hold a City and Guilds advanced Craft Certificate held in Painting and Decorating, I also hold my Construction Skills Certification. I take extreme pride in the work that I do and believe that your home deserves respect and care, which is why I not only pay extreme attention to detail but also clear up on a daily basis (with my own hoover!!) then a complete clean up at the end of the job. I supply my own dust sheets and consider myself as a clean and tidy tradesman. If your project is on the larger side or you require any addition skills such as plastering, I have several tradesmen who I have known, and worked with, for many years who I will happily have work alongside me. I trust that their work will be of the same high standard as mine which is why we work so well together. I am also proud to say that I specialise in Spay Painting, which is a skill that alleviates all brush and roller marks giving you a smooth and prefect finish, however if you prefer the traditional methods I will still obtain a perfect finish for you. In the past I have worked on large projects for major corporations and establishments including: banks, army barracks, schools, county courts, warehouses and new builds. I can also offer property maintenance, especially if you are a landlord and wish for the property to be overhauled in-between tenants.